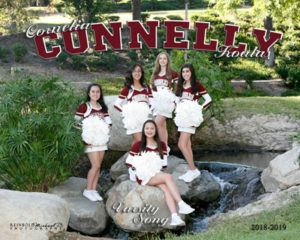 Connelly’s Varsity Song team cheers for Cornelia Connelly School and for Servite High School. Contact: Ms. Rieder: 714-776-1717 ext. 219 OR erieder@connellyhs.org if you have any questions.